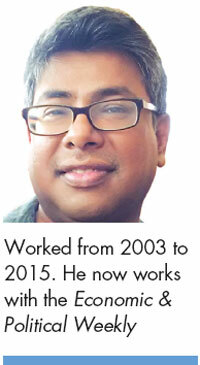 One balmy February afternoon 13 years ago, I sat on the fifth-floor terrace at the Centre for Science Environment (CSE) office sipping coffee with Down To Earth’s (DTE) managing editor, Pradip Saha, and chief copy editor, Pratap Pandey. It appeared an informal chat, but was not. I was being interviewed for a position on the magazine’s desk. “I was trained in social sciences, but the apathy towards social sciences rankles,” I told them. The disgruntled social sciences editor at a well-known publishing firm in Delhi was soon put at ease. “We lay great emphasis on social sciences,” Saha and Pandey replied almost in unison. Their words rang true throughout my 12-year stint at the magazine. DTE sees itself as a science and environment magazine, but it lays much store by probing issues through the lens of a social scientist. Almost immediately after joining, this environmental neophyte was asked to edit a story on tribal leaders. But editing wasn’t simply a matter of correcting wrong usage, structuring a narrative or bringing text to a required word count. The story tested my acumen as a social scientist. Here was a chance to understand a critical contemporary issue through the lens of an anthropologist. It was exhilarating to combine theory and journalistic insight. In days to come, I would often joke with Pratap about his comment on the relative merits of rum and cola. But the similes should stop here. Spirited would be way inadequate to describe the manner in which the team immersed itself in the investigation, cross-checking facts, figures, every detail and then describing them in lucid text and easily intelligible graphics. I was struck by the meticulousness with data and the effort to understand the science behind it. I had often heard of inter-disciplinary approaches. I could see the execution of such an approach in the magazine’s workings, where data and reportage were put under the scrutiny of science and the social science insights. I saw the tendency getting sharper in days to come. This was no mechanical application of theories on raw data. Evidence was scrutinised, certitudes questioned, and there was a conscious attempt to draw reporters and writers away from their comfort zones. That wasn’t an easy task for several reasons. The chief amongst them was because environment was somewhat of an adolescent in academia. Scholars writing on the environment had to grapple with the shibboleths of traditional scholarship and also take care not to be too predictable themselves. A reporter or commissioning editor seeking out new scholars had his/her task cut out. What helped was the camaraderie amongst colleagues. An informal discussion over lunch could turn into a debate on the most pressing issue. It also helped that many of those who worked in DTE were amongst the most erudite and, significantly, not bogged down by ideology. Reporters travelled all over the country relating a diversity of concerns and issues. They could access scholars doing interesting work in what is rather condescendingly called small universities or institutions, many times outside the academia as well. All this, though, took time fructifying, and is indeed a process that goes on. Many an editorial meeting would be punctuated by the editor—or senior editors—berating us for our hackneyed approach. At the same time, there were also words of encouragement and praise, typifying the crucible of ferment that DTE was—still is. Food, history, anthropology and travel, usually not the stuff of an archetypal environmental publication, found pride of place in the magazine. This inclination to draw staff out of their comfort zones has helped in several ways. 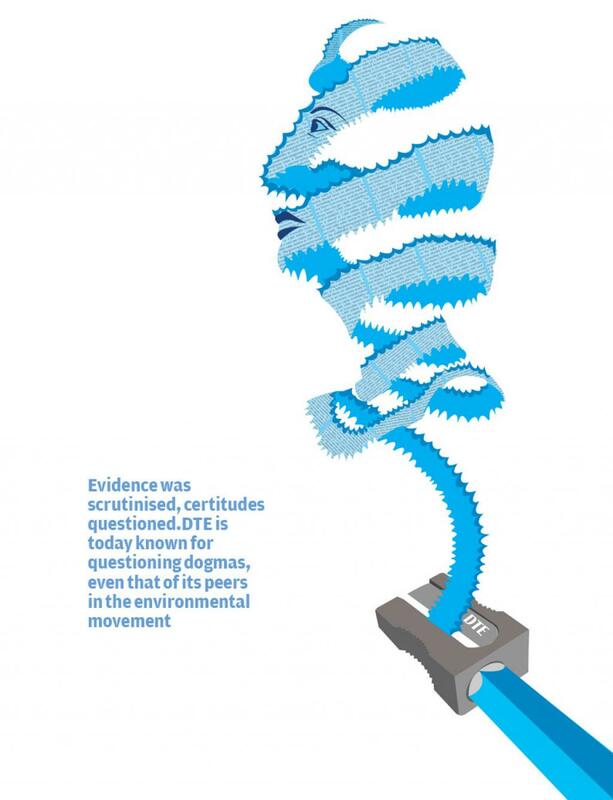 DTE today is known for questioning dogmas—even that of its peers in the environmental movement. It ruffles feathers, even of sympathisers. But at the same time, it now counts young people amongst its avid and discerning readers. Its approach has paid off in other ways too. The magazine today has a books unit, which counts some bestsellers amongst its products. I count myself lucky that in my 12-year tenure with the magazine, I played a small part in expanding its horizons.